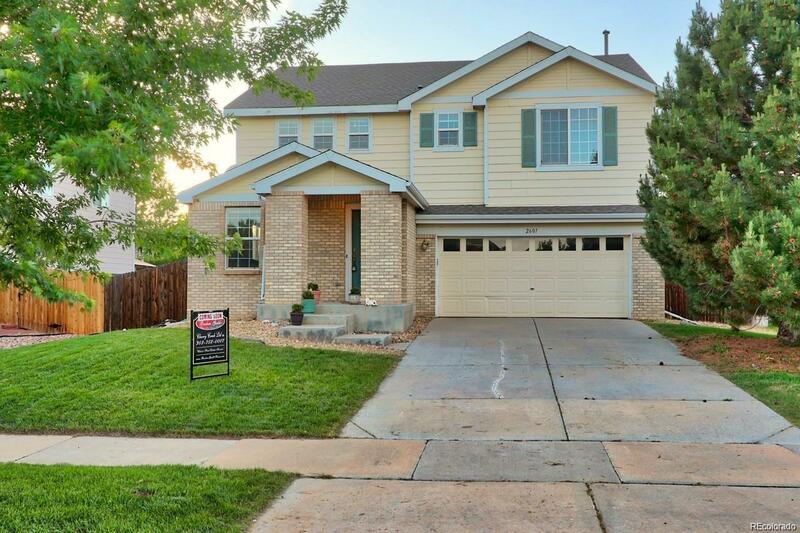 Beautiful 2-Story Home in Sterling Hills! Great curb appeal with mature landscaping. Open floor-plan with living and dining room combination plus an open family and kitchen combination on the other side. Main floor with laminate and tile flooring. Spacious formal and dining room with open staircase. Family room with fireplace. Open kitchen with island, attached dining area and sliding glass doors to back patio. Main floor half bath. Spacious and open loft area. Expansive master suite with 5-piece bath. Convenient 2nd floor laundry. Unfinished basement for storage or future finish. Large backyard with privacy fence. Don't miss this great home! Offered by Brokers Guild-Cherry Creek Ltd..